It is now almost 10 years since we began to come together each year in cities around Russia on the 30th of October for a very special purpose – to offer Prayers for Remembrance. These prayers are intended for the remembrance of the victims of Soviet Repression. The sheer number of such victims is enormous…tens of millions. If we were to read out all of the victims’ names beginning even with just one letter, it would take more than a whole year. The Prayers for Remembrance that our Transfiguration Brotherhood and St. Philaret’s Orthodox Christian Institute pray are a bit different – we want to think of this all in a more Christian manner. In our country, the 30th of October is officially the Day for Remembrance of victims of Soviet repression, and particularly the Stalinist repression. In point of fact, Soviet repression was actually Leninist, Stalinist and post-Stalinist. And we remember everyone and don’t say “we won’t forget, we won’t forgive.” And, we call our act specifically “Prayer for Remembrance” and not a “Reading of Names”. On the streets and squares of dozens of cities all across Russia, we also read out names from both published and unpublished lists of those shot, who suffered in the GULAG and in prisons: we read out the name and the age of the person, his profession, and his sentence. We intersperse this reading of names with the reading of prayers for the dead for all life lost in and as a result of that lawless system, knowing full well that among those crushed were not only victims, but also their executioners. This is clear because we read out the person’s profession. If he or she worked for the NKVD or KGB, then it is pretty clear what these people were doing, but we read out these people’s names, too, and we pray for them, because we believe that judgement is not ours. Let God be the judge both of those who killed and tortured for a living and those who died, as people might say today, “in innocence”. This isn’t a simple prayer. People on the streets join us and stand in line to read out names…every year there are more and more; and the number of prayer locations, too, across Moscow, St. Petersburg and other cities, is on the increase. People both young and old come to join us and read their own lists, including sometimes those of relatives who died in the Soviet repression. Sometimes they say a few words about those who they are remembering, and sometimes they bring photographs. But perhaps the thing that makes the greatest impression is when people repent for their own relatives who worked as executioners, and tell something of their history. Everything is kept very short, understandably…there are a lot of people, and we have to keep things short. But it leaves a deep and lasting impression when you hear it from people’s grand children and great-grand children…which is to say from people who might be expected to say “what are we guilty of?” “We didn’t kill anybody or torture anyone. We certainly didn’t persecute the people of this nation.” And they have the right to say these things, too, but they can feel that evil spirit passing from generation to generation – that it rocks people even on the level of genetics, which is to say on a very, very deep level, which is passed on in posterity. I have an example from our brotherhood, in which two brothers wrote media articles. One wrote about his father and the other about his great uncle – about the fact that their relatives had NKVD ties, where they forced others to suffer, killed, carried out illegal sentences and tortured. They found the names of their family members’ victims…those they could find, of course…and openly asked forgiveness of the victims’ living relatives. This interdependence between one side and the other seems, to me, to be of critical importance. It’s not even solidarity, but something much more than that. It’s what we in the church call “sobornost” (translators note: sobornost “happens” when people take on a deep inner wholeness in striving to truly integrate with each other in a quest to help bring integrity to the rest of creation), which is catholicity in the greatest sense of the word. Sobornost must be understood not only as the external expanse of the church and the entire Christian world, but first and foremost as an internal property of the human person and his connectedness with other people. There is great potential energy in this. People, when they begin to act out of this type of experience, begin to open up as “persons”, and through this, the church is reborn. Of course, the victims of the Soviet repressions were of all different types. In a single family there could have been both victims and executioners, just as is common across all of history, in every place. Though it is necessary to understand that the executioners were people of a particular brand. The Soviet system self-selected this sort of person and incentivized them, making use of their basest qualities. Often these people were former prisoners, the dross of society, who had little sense of honour and dignity. Often they were representatives of various ethnic minorities: Chinese, Latvians, and Jews, for instance. We are absolutely convinced that is possible and, in fact, necessary for the innocent to repent on behalf of the guilty, because those who are guilty of these crimes of repression cannot repent for themselves. And here I have to give you another example, all the more as now we understand better and better, there were really no “innocents” in 1917 or in the years that followed. Even the victims themselves share the general guilt, and it is no coincidence that the great Dostoyevsky said, “Each of us is guilty for all and for everything.” And this is far from being some sort of guilt complex; there is nobility in this feeling of guilt. Ignoble feelings are those which accuse only others of being guilty. But we all have a single fate, bound together in a single nation with its particular land, and we all both depended – and still now depend – upon each other. As an aid to those people who wish to bear responsibility for our real history and for the fate of real people, we published a volume entitled Prayers for Russia, for the hundredth anniversary of the October Revolution. This book brings together a group of prayers which are remarkable for their depth, written in different times beginning in the 17th c. and running up to our contemporary period. For instance, it contains prayers of repentance written by Holy Patriarchs Germogen and Tikhon, and an intercessory prayer of Alexander Solzhenitsyn. It turns out that few people were aware of the existence of these texts. We published this book last year, in time for the anniversary of the October Revolution. In 2017, we announced – throughout the whole of Russia, including those parts which were formerly included but currently fall outside its borders, a National Repentance Initiative. This year, in 2018, this has grown and morphed into the Forum for Nationwide Repentance and Rebirth. We’ve added “rebirth”, in order that the Christian spirit here be more fully palpable. And this is the exact thing which is often missing, even for people who consider themselves to be believers. We have to overcome this limitedness – this closed attitude that Christians often have toward freedom and creativity, which only ever ends up manifesting itself as fundamentalism and secularism…the lack of desire to know others, xenophobia, national egoism, and all the rest. We have tried to draw up a Forum Program from an Evangelistic position rather than from an ideological, political or nationalist position. And our theses are directed toward all people – not only believers. We are sure that it is necessary to propose the possibility of repentance to everyone, both believers and non-believers, because the experience of repentance as release from evil is available to and necessary for every person. And this includes the experience of repenting on behalf of others. Everyone needs to repent – not only the executioners and those who were responsible for the ideology, politics, aggression and destruction of the Russian people, country and church. This isn’t a rapid process and we shouldn’t expect that it will be: our brotherhood isn’t so big as to easily manage coming to terms with this colossal task – at present, the most important task on behalf of the Russian people and their land. But we aren’t only cooking in our own juices here; we are trying to bring together all people of good conscience – anyone who will answer the call. For this reason we run our annual Transfiguration Meetings Festival each August, and large international conferences, both church conferences and conferences for society in general. 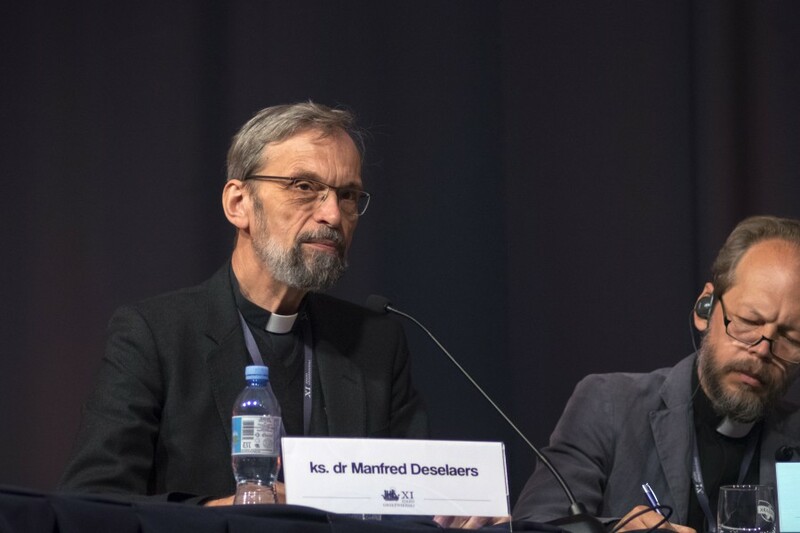 For instance, in November we will run a conference which is entitled Russia between the Past and the Future: Guardians and Prodigies, at which we hope to discuss who exactly it is who can keep our tradition and unveil it under new conditions – that is, be the bearers of some sort of prophet principle in the life of church and society, without which no sort of rebirth of our people can ever occur. This prophetic dimension of life appeals to the depth of each person and the people as a whole, awakening both memory and conscience. This always demands effort on the part of the person: an internal act. In our Transfiguration Brotherhood we have a sort of a rule which applies to everyone: we tell people to give advances of love and trust to everyone close to them. Not to the masses, not to a crowd…just to those close to them. And not only to relatives, friends, and life-minded peers, but to all neighbours, in the Gospel sense of the word. Even if the other person doesn’t intend to return the favour, you have to give him the chance to do so, insofar as it is still hard for us to love our neighbours at times. For us, to give advances of love and trust is the internal imperative of interpersonal relationship. Under these conditions, it is probably easier for Christ himself to give. 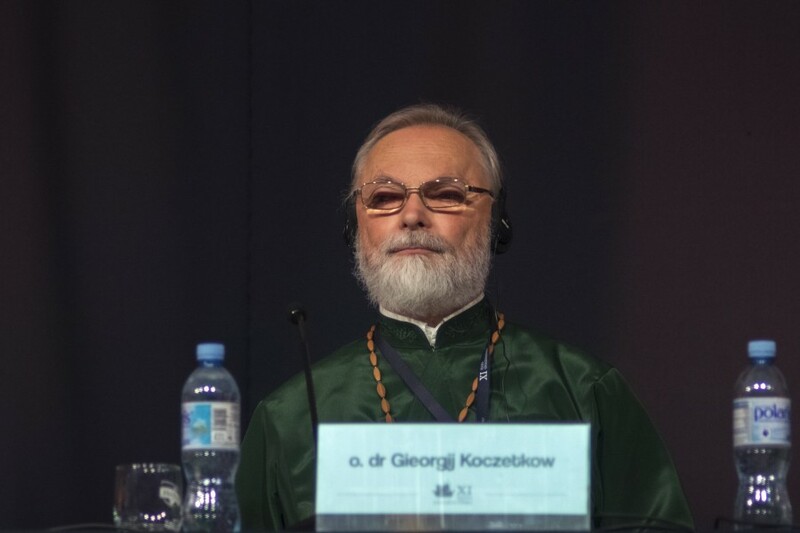 The 9th annual Congress in Gniezno, Poland, dedicated to topic of Europe – Land of the Free, The Inspiring Strength of Christianity, took place on the 21st of September, 2018. At the end of the conference, its participants adopted a statement entitled Freedom is Love. 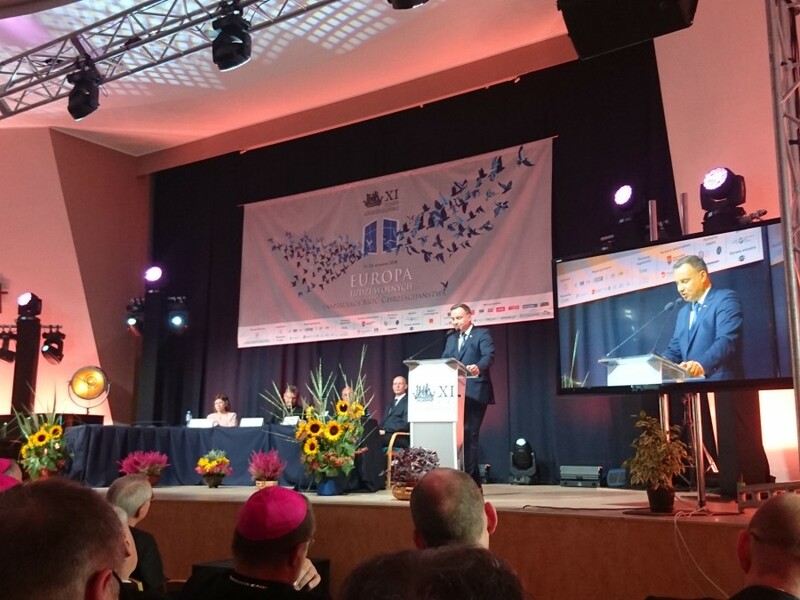 The annual conferences in Gniezno are international in their scope, and serve as a space to discuss and make sense of the primary questions of our day, to which Europe must provide answers. Questions about the role of Christianity in the structure of European society as a whole are raised. This year’s theme was primarily concerned with freedom, not the least since this year Poland celebrates 100 years of independence. More than 500 people from Poland, Germany, Italy, France, Belgium, Holland, Russia, Belarus, Ukraine, Hungary, Slovakia and Ghana, took part. The President of Poland, Andrzej Duda and Vatican Representative Cardinal Peter Turkson, First Prefect of the Dicastery for the Promotion of Integral Human Development, addressed conference participants. The conference is organized by the St. Wojtiech-Adalbert Fund, assisted by the Centre for the Thought of John Paul II, the UAM Institute for European Culture, the Catholic Information Agency, The Catholic Intellectuals Club in Warsaw, and others. Representatives of 10 different Christian churches took part in organizing the conference. Conference partners include: The German Roman Catholic Renovabis Fund and the Konrad Adenhauer Fund. © 2016 The Transfiguration Brotherhood.